^ Hamel, Frank (1910). An Eighteenth Century Marquise: A Study of Émilie Du Châtelet and Her Times. London: Stanley Paul and Company, p 286. ^ a b c en:David Bodanis（2006年10月10日）. Passionate Minds: The Great Love Affair of the Enlightenment. New York: Crown. ISBN 978-0-307-23720-0. ^ Zinsser, Judith (2006). 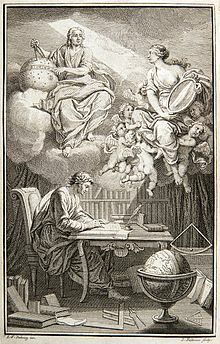 La Dame d'Esprit: A Biography of Marquise Du Chatelet. New York: Viking, p177. ISBN 0670038008. ^ McLellan, James E; Dorn, Harold (2006). Science and Technology in World History: An Introduction. Baltimore, MD: Johns Hopkins University Press, p368. ISBN 0801883598. Ehman, Esther (1986)Madame du Chatelet: Leamington Spa: Berg. ISBN 0907582850. Zinsser, Judith (2006) Dame d'Esprit: A Biography of the Marquise du Chatelet: New York: Viking. ISBN 0670038008 online review.